This post is a companion of sorts to the last one, at least as far as age and location go. This defunct deli sits catty-cornered from the defunct bank that was the subject of that post. Its location is actually rather interesting as it has changed without the building ever having moved. 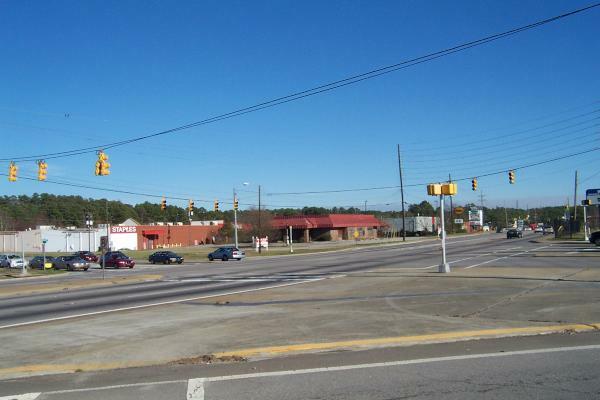 I've given the location as the corner of Decker Blvd and Trenholm Road Extension, but of course when the building was built, there was no Trenholm Road Extension, and it wasn't on a corner lot at all. In fact , though I may have my dates off a bit, I think the building predates most of the land around it! At one time what is now the Staples/Goodwill plaza across from Dent Middle School wasn't a plaza, or even woods: it was a lake. It wasn't a very good lake -- it was rectangular and obviously artificial, but it was a lake, and the deli building was more or less on the lake bank. Given all the empty retail space on Decker, they probably should have left it a lake. I never ate at the deli, and don't recall the owner. My sister thinks it was an "Andy's Deli", and I have no reason to think she's wrong. As far as I can tell, it's not an awful location, and I don't really have any idea why it went under. However, unlike the bank, the lot owner still has some hope for the property, and a for sale sign hopefully beckons passers-by. I don't know if the owner rents the lot, or if it is extra-legal, but various road-side sales set up there from time to time. You know the kind of thing: velvet paintings, cheap sofas, cyprus knee art..
UPDATE: This post was originally titled "Deli". Everyone seems to agree that I was wrong and it wasn't a deli, but a Grandy's restaurant. I've changed the post title to reflect that. Here is a working Grandy's in a very similar building. Subscribe to comments with RSS or TrackBack to 'Grandy's, Corner of Decker and Trenholm Road Extension: 1980s'. This building was originally built as a Granby's Restaurant. Hmm, the name sounds vaguely familiar. Thanks! This was actually a 'Grandy's' which was a down home chicken and biscuits chain that served breakfast too. This was back in the early eighties. I'm not sure that anything ever went in there since it closed. If something did go in there it lasted only a few months at best. Hmm. I would have sworn it was a deli of some sort, but it's been a loooong time ago. Thanks! Yep, Grandy's is what it was....we used to eat there all the time....I think it was a drive thru too. Had some GOOOOODDDD chicken and delicious biscuits....anybody remember Grandy's cinnamon buns???? To die for! Their sweet tea was good too. OK, Grandy's it is. I'll change the post Title! Yep, it was a southern style fried chicken place. My brother and I used to eat there a lot during the 80's. These little old ladies in country-looking outfits would come by the tables to give tea refills. Good food...can't understand why the place closed, or why they've never reopened another restaurant at that location. Maybe the landlord is asking too much. I don't remember much about the menu at Grandy's but I remember my family ate there a lot. Am I correct that they had great milkshakes? For some reason I remember that but I might be mistaken. Never understood why they closed either. They seemed to do a good business and we would go there weekly. Well, they don't seem to feature milkshakes on their menu page, but I suppose that doesn't mean they couldn't have 20 years ago.. Uh uh dawg, this is where McD's used to be, back in the 70's and whenever they closed (must have been 80's per the above posts)! When dad was OOT on biz mom would take us there, back in the day, what a treat that was! Mom made us keep the McD's bag closed until we got home so the stuff wouldn't get cold. Yes, there was a McDonald's there (or almost there -- I think it was more where Longhorn now is), but the building still standing there was definitely not the McDonald's. I seem to remember that McDonald's was built, then demolished, and then another McDonald's built at the same location or very nearby....am I wrong about this? Well, that would agree with what Christy remembers, though I can't recall that. 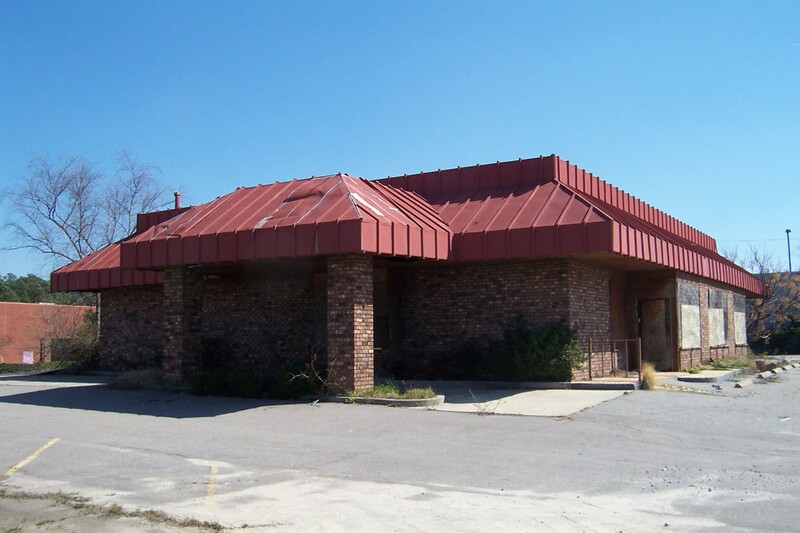 The mcdonalds was torn down when the road was expanded. The location of mcdonalds was where the intersection is. Andy's was a little more down the road close to where Parklane crosses I20. 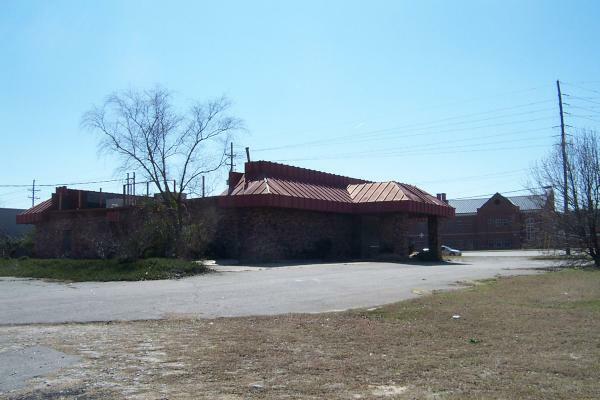 There was also a Grandy's in Cayce at the intersection of State St. and Knox Abbot. After it closed, it very quickly became a Lizard's Thicket and has remained to this day. Grandy's was a chicken place. 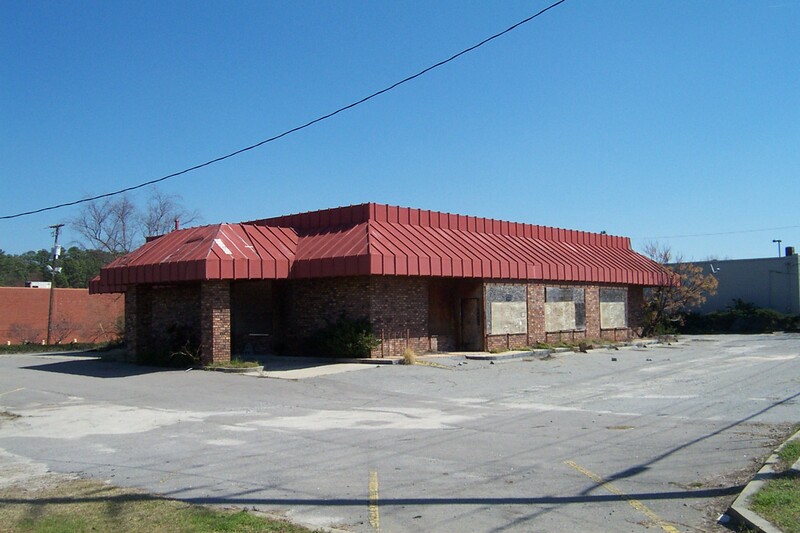 Grandy's also had another location on Devine Street near today's Burger King. It was a McDonalds first. I used to eat there all the time. It was there before they built the ext. I don't think I would categorize Grandy's as a "chicken place." They were (and still are) a country cookin' kinda place -- sort of like Lizards. What's ironic is that Lizards took over at least two of the locations (Knox Abbott mentioned above, and Broad River near intersection w/ Bush River) and has been successful. I've always called Lizards the hermit crab of restaurants. 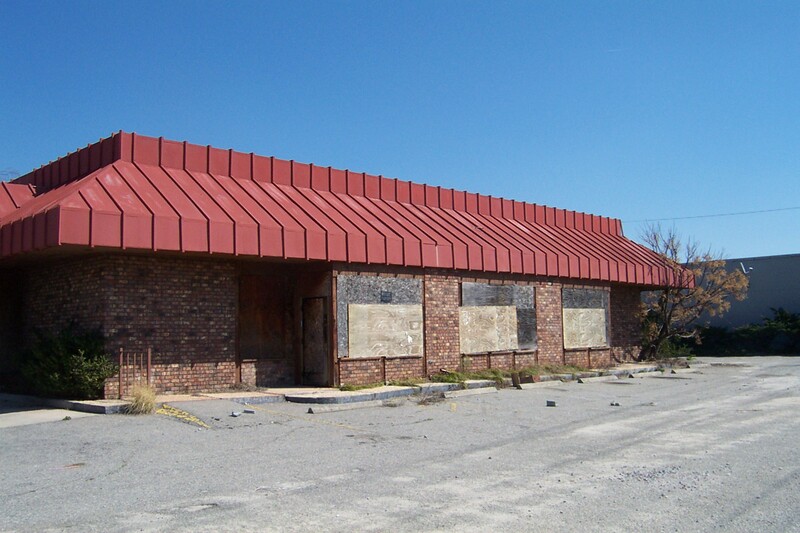 During their days of expansion, they were always moving into the dead, empty shells of former establishments. Talk about a great example of re-use/recycle. 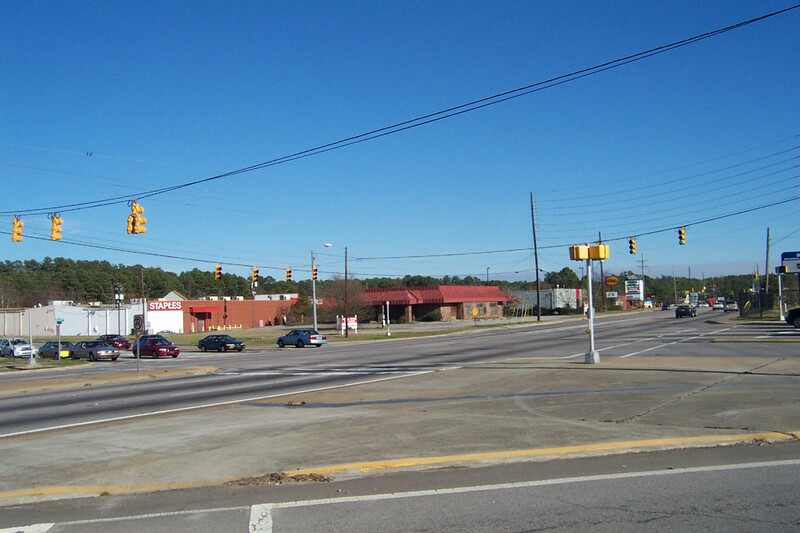 There was a Mc Donalds where the Trenholm Road extension starts at Decker which was torn down to make way for the road, not Grandy's. Both Mc Donalds and Grnady's operate at one time simutaniously on Decker. They moved that McD's up to blocks to be closer to the mall. While I lived in Columbia from mid 05-08, I was very intrigued by the Decker Blvd area. You have posted about most of the areas there I wondered about... It seemed as if this area was doing really well at one point, but has fallen out of favor with the "pack up, move out" mentality to the Sandhill area. However, the entire area (to include the Mall) has a strange dichotomy, as it is in obvious decline, but there are some good stores & restaurants in the area to keep drawing people out. My thinking that until the area becomes really crime ridden, it will stay in the limbo that it is in. Overall though, this area shows the lack of organized urban planning as this should not have happened, the area should have had a better plan than just try to survive the Sandhill onslaught. Just my $.02. 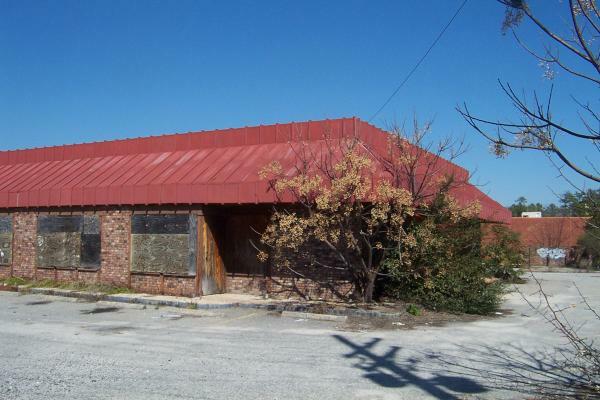 By the way, a piece on the old Sticky fingers next to Charleston Crabhouse would be cool. I'm not a big fan of urban planning, but I do think a lot of the moves ignored the fact that plenty of people still live in the area -- yes, build your new Olive Garden out Sandhill-way, but keep the Decker one unless it actually loses money, which I don't think it was doing. And yes, the area is fortunate that so far it's still pretty safe even in decline. I hate to see the decline of Decker. I blame Kroger and Target. Once they left everyone else followed. I grew up in the Forest Lake area and have some great memories. Will, funny that you mention great milkshakes in connection with Grandy's. There was a chain in the Columbia area at about the same time that Grandy's was in business (85-86-maybe 87) that had awesome shakes. When I try and recall the name, I too, think Grandy's but I know that isn't right. There was one of these places that had the awesome shakes on St Andrews Rd in front of the old "Star Page" beeper office. Could it have been something like, "Brendies"? BTW, Thank you Ted for this site! The nostalgia trips this place has generated are really great! Someone is trying to redevelop this corner. I've noticed that there is a Forest Acres Zoning sign on the corner and there was a crew getting soil samples a couple of weeks ago. Hopefully it is going to be a gas station because I need one that is easy to get into on the way to work. Drove by today and the building is gone.......... Guess someone is finally going to do something with that corner. It's now an open Taco Bell! Granby's cinnamon buns were KICKIN! I found some pics of the interior, and allegedly it was used for filming for this movie that was filmed on location in Columbia SC, called "Nailed" later titled "Accidental Love". It's gutted and there were wires hanging everywhere.